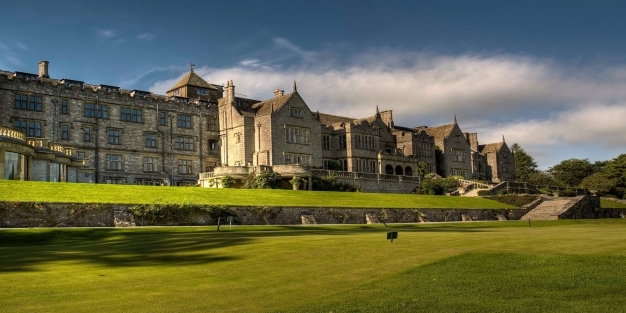 The next event is on 5th August at Bovey Castle – a stunning location for the event! Scott Hunter, Sean Murphy, Llewellyn Nicholls, Emma Liddon, Michael Green, Louise Downes, Louise Pen-Collings, Colin Robson, Sally Everton, Chloe Symons, Fleur Cook, Rachel Carosin, Glen King, Ken Abbott, Jackie Murray, Geri Panteva, Colin Slade, Hannah Wilson Rudd, Emily Pitcher, Jon Duckham, Richard Purkis, Belinda Allen, Mark Leveridge, Joss Phillips, Nicky Dunn, Oliver Dax, Siobhan Flanary, Nigel Wilkinson, Fee Bellamy, Amanda Greenaway, Jack Reed, Chris Wood, Danny Frayne, Matt Richardson, Rosemary Pell, Roger Moore, Bev Gratton, Jean Paul Quertier, Teresa Bulford-Cooper, Naomi Shearer, Gillian Pritchett, Michelle Roberts, Belinda Newton, Chris Catt, David Kilkelly, Jo Butler, Tina Paisley, Sally Burn-Jones. Megan Humby…. Lunch speaker who enlightens, educates and even entertains! Guaranteed you’ll leave be better informed and connected than when you arrived! Many businesses are familiar with networking and building personal relationships. Meeting in person allows you to make value judgement’s about an individual’s work ethic and expertise in their field. But how do you convey the same qualities in an online environment in order to access the much broader market present? In this seminar David Kilkelly of BlinkBack Video Marketing will demonstrate actual strategies that businesses can use to connect with customers on line. Using a blend of video, audience focused content and targeted social media marketing, David will show how a business can position itself as an authority and build a loyal on line following of relevant prospects. This modern marketing approach concentrates on the specific content that you distribute as a business and why video is the most effective and engaging medium to deliver it. It is not a seminar about promotional videos or traditional advertising. David Kilkelly leads BlinkBack, a Video company based in Ashburton that specialises in creating exciting engaging video content for forward thinking businesses. This content is fueled with cutting edge digital marketing strategies that position it in front of specific audiences for maximum ROI. From 12.30pm your 2 course served lunch – you sit with other decision makers – none of whom do what you do. There is a table host at each table and you have a 3 minute presentation to do for the others around your table – enthuse and inspire and build relationships. PLUS you have an Event Programme & seating plan which lists everyone attending , their name, business name and what their business does and importantly what table they are sat on enabling you to network with other – more business building opportunities! The Lunch speaker is ken Abbott – Into the Image – 3 from 12! A taster for his seminar “12 from 12” on September 9th! What follows are many other opportunities for you to continue networking in different settings doing different activities. You need to arrange this and pay directly with the resort team and they are only available on the day to those coming to this event. Sloe Gin and Cider Making – more networking over drinks! This is held in our Long Barn. Learn how to make Cider and Sloe Gin. Processing crushed apples in our Cider Press, tasting the freshly squeezed juice and cider made earlier. Sloe Gin made during the autumn months, so in other times seasonal fruits are used. The golf course at Bovey Castle is a challenging and beautiful 18-hole championship course. Designed to rival its sister courses at Gleneagles and Turnberry, this course has been described as an experience of golf never to be forgotten, presenting the pure challenge of golf to professional and amateur alike. The course meanders through the hotel estate, surrounded by idyllic landscape and challenges to meet any handicap. The Espa Spa at Bovey Castle is a sanctuary tucked away from the bustle of modern life. Echoing the tranquility and therapeutic flow of the River Dart, our bespoke spa experiences have been created to relax, revive and restore the body and spirit. Our dedicated team of therapists together hold a wealth of knowledge and experience encouraging a respect and understanding of the body that is both rare and valuable. Includes full use of the Pool with Jacuzzi, sauna and steam room. Should you wish to simply experience and network in the Pool area with the Jacuzzi, sauna and steam room, also with the hotel gym stocked with a full range of Precor, cardiovascular and strength equipment. Please book your space for the afternoon. Sloe Gin/cider making after lunch? An event that has created some poetic banter! Sean’s leaving now with a bow! in case right in the middle I need to…have a break. Invention & Discovery – Bristol Business Network March event – an app will be built live in front of you in 90 mins AND a networking lunch!